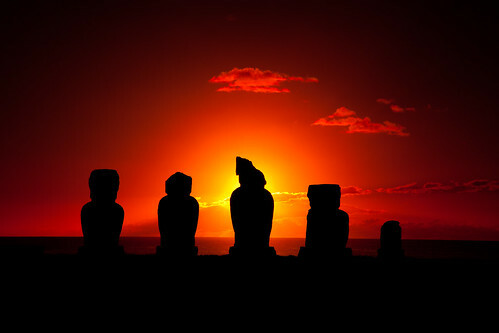 Congrats to Arturo Ortiz for winning this weeks photo of the week. It’s a nice colorful composition taken with his point and shoot camera. Well done! Amazon.com has Lightroom 3 for only $119.99. today as its deal of the day. Act quickly as this is 60% off the normal price, and it won’t be on sale tomorrow. Ever since I read Scott Kelby’s new book, Professional Portrait Retouching Techniques for Photographers using Photoshop, I’ve been itching to retouch some portraits. I’ve got tons in the queue that need to be done, so I started with this one as I’ve had requests to see more of this model after this Photography Notebook entry of this model was published. NOTE: My apologies for not showing a before shot in this article, but out of respect to the model I’ve elected not to do that this time. The techniques in Scott’s book are great and I want to use every one of them, but the problem I find right now is that I’m stuck in my old ways. When I’m in a hurry, as I was when imaging this shot, I resort back to doing what I always do. I know from my experimentations while reading Scott’s book I can get more natural and better results using his methods, but I need to find some time to practice them more so they become my first thought for processing. The original background was a little darker than I would have liked and the model was a touch under exposed, so I processed both separately using Smart Objects in Photoshop and merged them together. I didn’t spend much time on this because the real work to clean up the background came in the next step. Next up I used Viveza to brighten all the white spots of the background and put separate control points on the model to keep her from being bleached out. I brightened her up some, but naturally note like the background which I wanted to be pure RGB 255,255,255. I also added a little color to the lipstick to give it more oomph. This model’s skin was in pretty decent shape, but I went ahead and just did a few content-aware healing brush touchups on a few moles and skin imperfections. I also removed some of the major stray hairs. I did this right on the Viveza layer, but I should have done it on its own layer. I was just in a hurry and didn’t take the time to do that. Next up I used the medium skin softening preset in Portraiture. It’s a little aggressive for some, but for this model I like heavy softening so I stuck with it. The next step was to use Color Efex with its Tonal Contrast filter. I checked the “Conventional High Pass Filter” checkbox and brought the midpoint slider down to zero. Once I had it back in Photoshop I set the blend mode to Soft Light and reduced the layer opacity down to 51%. The net result is that I had a taste of this filter that gave the skin more edge definition. The skin was feeling a touch too dark for my taste so I came in again with Viveza to brighten it up selectively in spots. I used a mask to touch a few spots to keep them from being overblown. I dodged the whites and iris of the eyes, and then burned the rest. I also did a High Pass Filter with an Overlay Blending mode on the eyes to give them the wet glassy look I like. The image looked pretty good to me, but I wanted to sharpen the clothes and some of the hair for display output, so I used Sharpener Pro. I used just a quick rough mask to only apply the sharpening where I wanted it and at the level I liked for this image. I capped this one off by putting my logo on it. This was a pretty simple edit that took about 30 – 40 minutes start to finish – mostly because I’m slow. Overall I’m pretty happy with the final result as I got the look I had in mind when I started imaging it. However, I realize it may not be to the taste of those who prefer much more subtle editing. That’s again where Scott’s book comes in, so I hope to try his method on one of the images from this series just to compare the results with this workflow. I shot this with a Canon 5D Mark II using my EF 70-200mm f/2.8L IS II USM lens dialed in at 80mm and I was at f/11 for 1/160 sec @ ISO 160 thanks to my studio lights working hard for me. I may get a commission if you purchase using the links in this article. Thanks for supporting this blog by using the links! Congrats to Randy Curtis for getting this great grab of The Bean in Chicago using his Nikon D7000 (review). He used Photoshop CS5 for the Mac and Lightroom 3.3 to brilliantly process this shot to make it much more interesting. I love the reflection of the city, the moody sky, the starburst and the great dark black tones that really gives this final image a high wow factor in my eyes. I’ll let Randy comment on how he processed it, but I’m guessing he used Silver Efex Pro 2 for both the black & white conversion as well as the border. However, the same effect could have been accomplished using Color Efex and onOne Software’s PhotoFrame (for the border). This was a 0.4 sec exposure at f/16 at ISO 100 and a focal length of 92mm using the 24-105mm lens on a Canon 5D Mark II. It appears to have been processed with Lightroom 3.3 to create what I think is a spectacular color gradient. 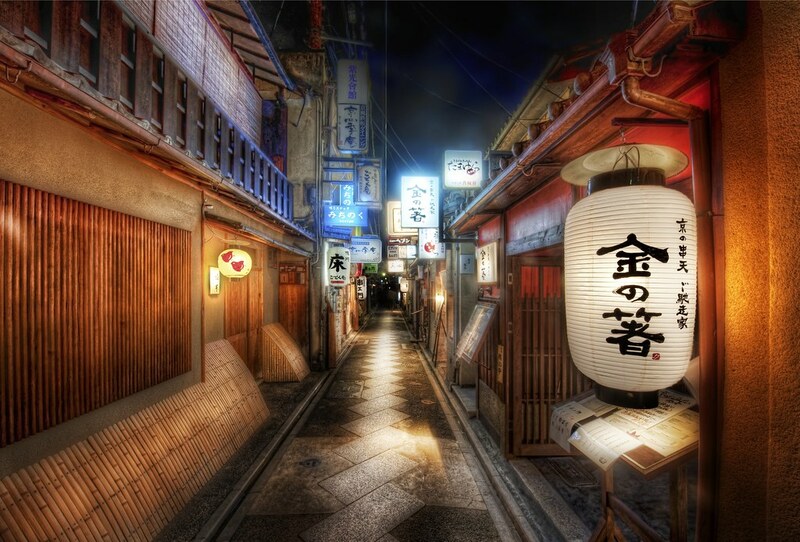 This is one I like enough that I’d love to have a print to hang in my own home! The clouds look pretty fantastic too. It probably didn’t need to be at f/16 because the subjects and the clouds in the sunset were so far from the camera, but a good exposure is a good exposure, so who cares about the technical details right? Congrats to Mandy Paul on an extremely well done shot from start to end! Blogger Buzz: Blogger is back: "What a frustrating day. We’re very sorry that you’ve been unable to publish to Blogger for the past 20.5 hours. We’re nearly back to normal..."
If you have ever tried doing macro photography with a tripod you know that the position you NEED your tripod to be in, is not one that it can support so you have to make compromises. Some of those compromises end up showing in your shots because your lens isn’t on the same plane as the subject so DOF suffers. Many photographers frustrated by this situation will just go to shooting freehand, but that can result in camera shake which is amplified when doing macro photography so the net result is a missed shot. While using a tripod is tough for moving subjects like bugs or butterflies, for those cases when you are shooting flowers or dead bugs (you do know that many macro shots are of dearly departed bugs right? ), then the Gitzo GT2531EX is just the ticket to allow you to place your tripod EXACTLY where you need it! This important design along with the clever design of the Anti Leg Rotation (ALR) system allows you to quickly adjust the legs at any individual height or angle you desire to get stability where you need it on all terrains. All that is well and good, but honestly when I first saw this tripod my bigger was concern was getting it to stay straight! By using the built-in level and ideally having a hot shoe bubble level to make sure the camera is properly level, I could get a perfect level configuration anywhere I set up my camera. With that gripe aside, I the flexibility that this design offers make it worth the risk of the occasional pinch! 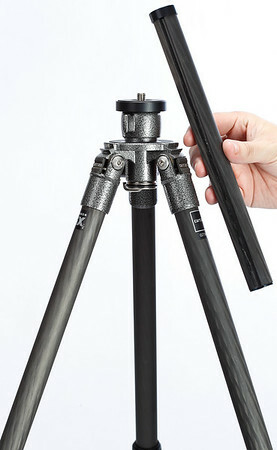 This tripod supports up to 26.5 lbs (12kg) when configured as shown above, but if you rotate the rapid column to be horizontal to the ground (as shown a the top of the article) then you’ll end up only being able to support half that weight as you’ll need to counterbalance the other side of the arm with roughly the same weight for maximum stability (and the safety of your camera). 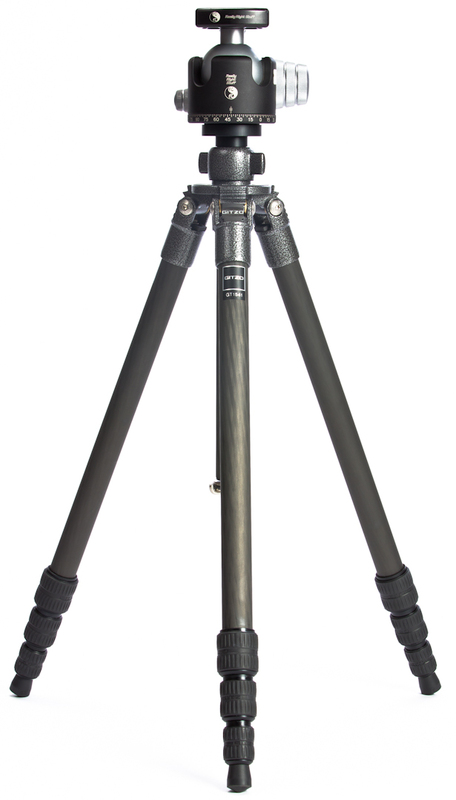 At 4.1 lbs (1.85kg) this tripod is twice as heavy as the wonderfully light Gitzo GT1541, but the addition of this marvelous rapid column and leg lock design means you’ll have more options to position this tripod exactly the way you need it – for all occasions. However, this weight is still very light for a full size tripod. Feedback from readers pointed out that the only workaround is to do like I did below to get you lower, but it still kind of high when you consider the size of the head. It works, but I wish that it would just work like the 1541. The center column issue and the price are the only two things keeping me from ordering one of these tripods for my personal use today. This tripod supports a wide range of accessories found on the Gitzo website, and this thing is so flexible that I can’t imagine a realistic scenario where I couldn’t get it in to the exact position I needed for a stable shot. 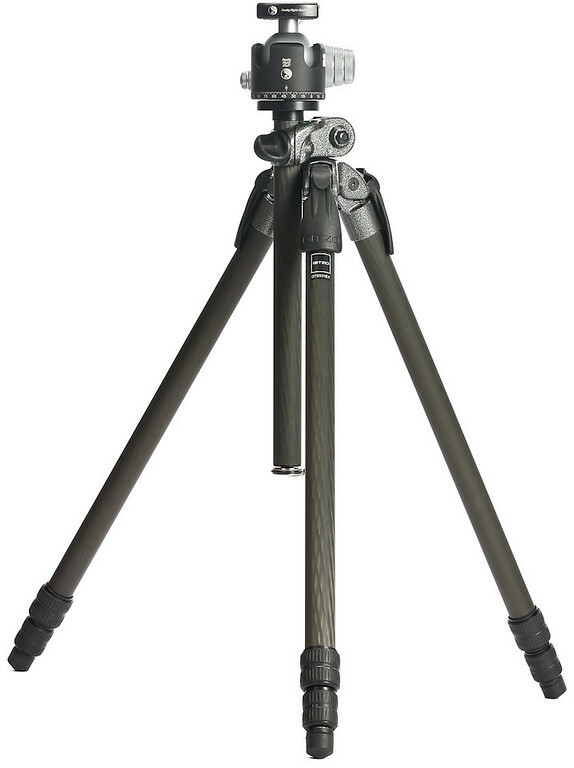 As a result I’m struggling to decide if this or the Gitzo GT1541 will be my next tripod purchase. I want both, but can only afford one for now. 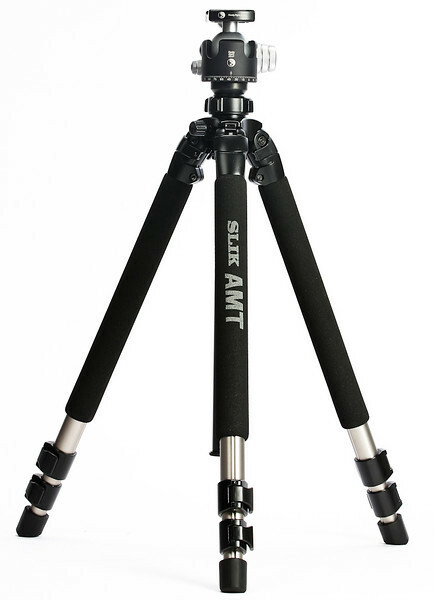 I highly recommend this tripod for those who need the flexibility it offers – especially macro photographers. 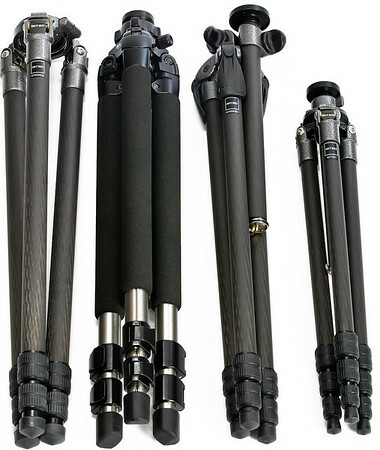 Hikers might prefer the lighter weight of the Gitzo GT1541 and studio or landscape photographers will benefit from the lack of a center column in the wall-like stability of the GT3530LS. Click here to buy or learn more about this tripod on B&H. You can also check out my tripod recommendations for other tripods that might suite your needs. 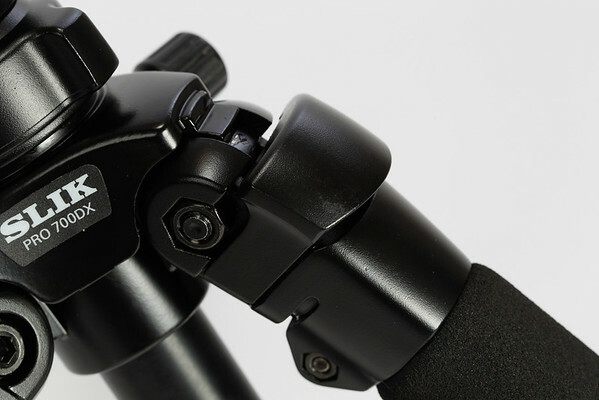 To learn more about Gitzo tripods, check out my Gitzo Primer. B&H has provided me with the tripods featured in this series on a loaner basis. I do not get to keep them and will be returning them back to B&H if I choose not to buy them. Gitzo had nothing to do with this article and as of the time of this writing, time I’ve never spoken to anyone from Gitzo. I do not have a relationship with Really Right Stuff (RRS) and I DO NOT make a commission if you purchase any RRS products. Of the tripods that I was fortunate enough to review for this mini-series, this is the one that I lust for the most. The reason why is simple – the best tripod is the one you have with you, and this one is so wonderfully lightweight, yet sturdy, that you have no excuse not bring it with you for any trip where tripods are allowed. This allows this tripod to get super low. The specifications at B&H say this tripod will go to a low of 6.7” (17cm), but according to my ruler with this center column removed I got it down to 4 inches (10cm) – that’s low! quite a bit smaller than your typical tripod! I will buy this tripod. Not today for financial reasons, but sometime in the very near future. I absolutely love it and I am amazed that something so fragile looking is so rock solid. Its strength comes from carbon fiber, so this gives incredible strength (supports 17.6lbs/8KG) at a light weight (2.5lbs / 1.1kg). 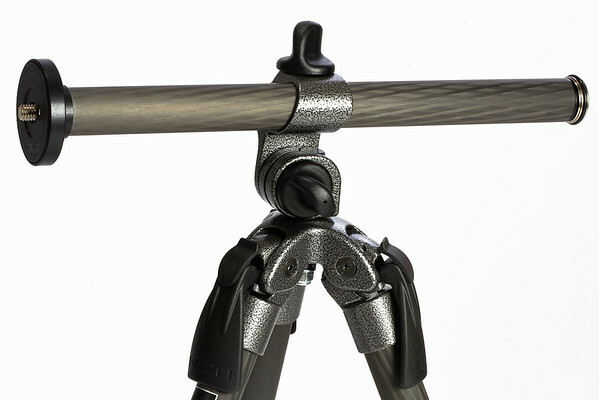 This tripod also features a stabilizing counterweight hook for added stability. 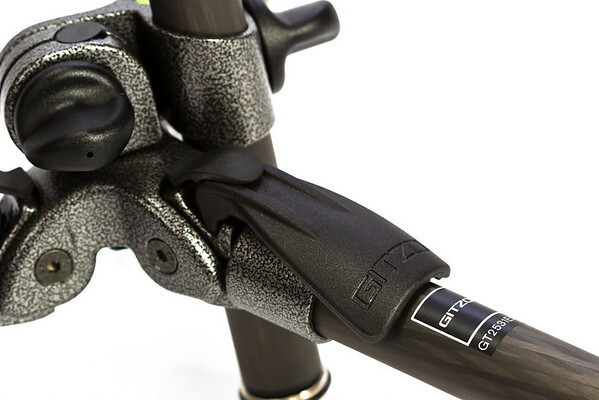 However, what’s really great is that thanks to Gitzo’s Anti-Rotation Leg (ALR) system, you can unlock all of the rings at once for a 15 second setup and the super strong G-Lock design offers maximum rigidity that improves the more you add weight to the legs. I’ll admit that the optimal stability should probably include the fourth segment of legs retracted, but given the way I use tripods that’s fine by me. I also have had it suggested that the BH-40 head by Really Right Stuff or others might be a better choice as the BH-55 weighs as much as the tripod itself, but its my preferred head. Is it the perfect tripod? No. 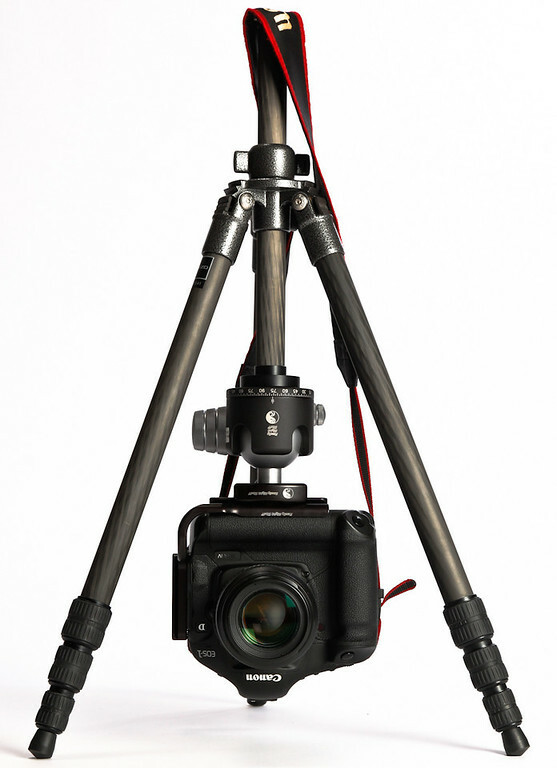 I wish it had a built-in level and an angle adjustable rapid column option like the GT2531EX, and it’ll never be as rock solid as the larger tripods like the GT3530LS. That said my lust meter for this tripod is off the charts because it’s small enough to carry just about anywhere. If Hershel & Yechiel of B&H lost the paperwork on this tripod and I was forced to keep it, I wouldn’t complain one big (not gonna happen, but hey wishful thinking right?). 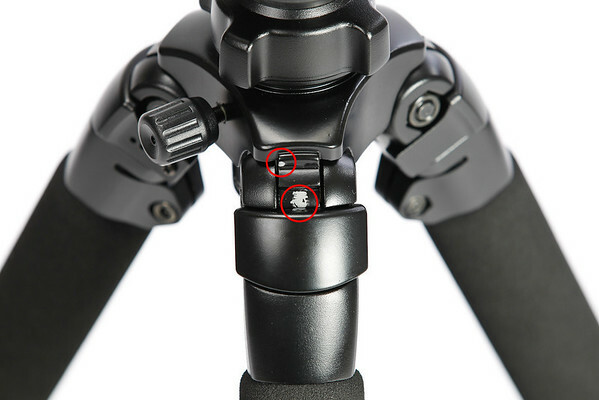 For more info on other tripods, visit my tripod recommendations article. 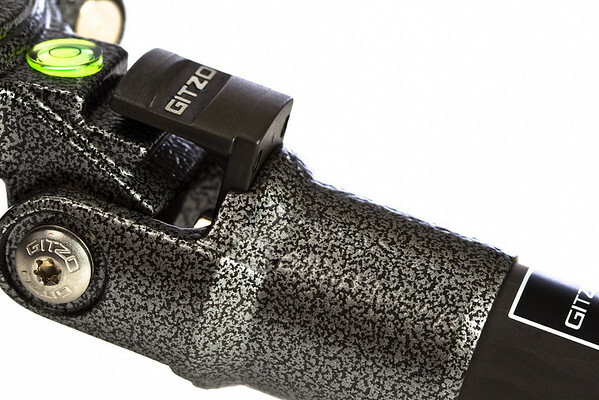 To learn more about the GT1541 please visit B&H or Gitzo. To purchase the GT1541, click here. For a cheaper alternative, consider the Induro CT014. My mentor tells me that any photo that can get an emotion out of someone is a successful photo. Perhaps its because I’m a father, or perhaps its because I’m a Formula 1 fan who enjoys the Ferrari team, but for whatever reason this photo caught my eye and made me stop in my tracks. I like that I can’t see the boys face because my brain will insert one of my son’s faces into that helmet. When I see the arm it reminds me of my father’s arm, so I even envision myself in the shot. Seeing the other kids and cars makes me feel that it really is a mini race. I like the crop for this one a lot and even more I love the colors. I immediately see and feel Ferrari, and nothing really detracts from the subject – the boy driving with #9 on his helmet. This shot was taken with a 60D at 260mm for 1/800 sec at ISO 400 in Aperture Priority mode at f/5.6. Congrats to Aleem Hossain for his work on this cool shot! Good tripods are usually pretty expensive, and cheap tripods are frequently crap that are about as stable as putting your camera on your friends back while you shoot. 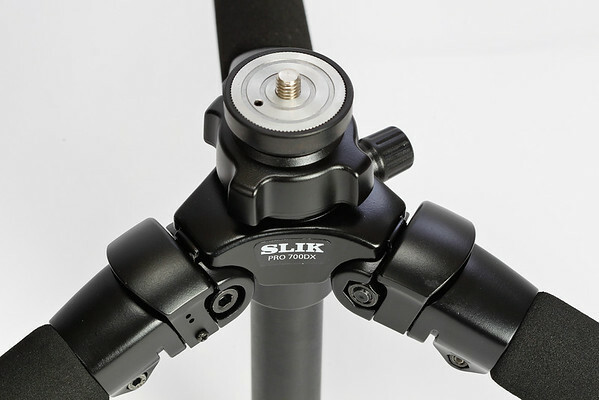 This is why when I did my research on tripods I was surprised to hear of so many people singing the praises of the SLIK Pro 700 DX tripod legs. The ratings on B&H were out of this world and my contacts at B&H assured me that it was a pretty decent product that wasn’t too heavy thanks to its use of aluminum. This makes it much lighter than most tripods at this price point, but it’s not featherweight like the carbon fiber tripods I’ll review later. I’ll admit I was skeptical as I’ve never been impressed with cheap tripods, and this one comes in at just under $100 (as of the time of this writing from B&H). However, when I got it I quickly understood why so many people loved it. It feels solid and is very stable, yet it’s only 5.88 pounds (2.67kg) which isn’t too bad considering its size. I was able to extend this tripod to 70” (178cm), yet get it down to a low 10.8” (27.7cm). The leg clips worked well and the head was made of metal to avoid cracking as my plastic Bogen Manfrotto 3021 tripod had done. 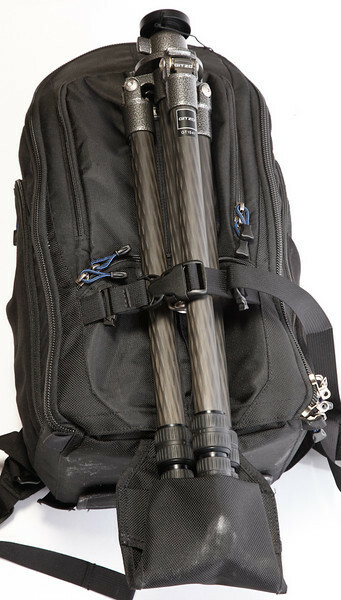 The clips will certainly be a vulnerability point while traveling, so I wouldn’t advise checking this tripod unless it is very secure in something that can avoid stress on the legs. As well as this tripod worked for me, it is still a cheap tripod. The paint began to chip away within minutes of its arrival and the foam on the legs won’t last for years. With that said, it’s still a great value for those who are just getting started in the expensive world of DSLR photography! To be clear, I’m not saying this is the only tripod you’ll ever need and that this is “just as good” as the expensive ones. What I’m saying is that if you are tight on cash and need a reasonably price tripod solution, then this is what I recommend. If you can afford better, your money is better spent getting the good stuff first, but if you can’t then this is a great alternative. I like this tripod – it works well for the price and it is very stable. It lacks a hook on the bottom of the center column mount for added stability and it won’t look like new for very long, but it will save you some money so you can invest in something that is more important – a great ball head like the Really Right Stuff BH-55. 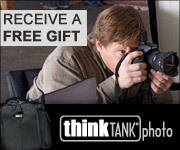 To be clear, for DSLR purposes I do NOT recommend the Slik heads shown on their web site. At this time I recommend the Really Right Stuff BH-55 for general purpose use, but I’m sure plenty others found here (with 4.5 star or greater ratings from at least 10 people) will work well also. I also think this tripod would support a gimbal head very well. You can learn more about this tripod on Slik’s website, as well as B&H. You can also check out my tripod recommendations article as well. Support this blog by buying your Slik 700DX using this link. B&H was kind enough to loan me this tripod for this review. I was not given one to keep and I have never been contacted by Slik. I requested this tripod from B&H based on my research and I may get a commission if you buy one using the links provided. I appreciate your support by returning here and using my links if you choose to by one. I have no relationship with Really Right Stuff and will not get a commission if you purchase their heads, yet I still recommend them. 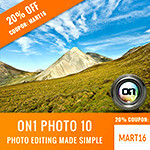 Sign up now for Trey Ratcliff’s Photography Webinar for only $167.45 ($197 Early Bird minus my 15% discount). Trey is a world famous HDR guru who will show you how he does his magic. Trey will spend 3 weeks (9 hours over 9 classes) going through everything in his Photography workflow from the beginning until the end. 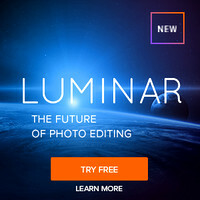 This is a great opportunity and it’s a heck of a lot cheaper than his hot-selling HDR DVD Workshop, but lacks the advantage of playback and pause at your own pace. If you can watch and learn (like I do) then this is a great value, but if you like to watch many times the DVD’s might still be your best bet. Click here to view more details and don’t forget to enter my discount code (RONMART15) as shown below to save 15%! Trey will mention you can order products needed for his class from his blog, but I’d really appreciate it if you used my links. It’s your choice as to who you want the commission to go to, but either way someone will get credit for your purchase. Here’s what you’ll want to have to follow along with Trey. You can find coupon codes and more info on my special offers (all of which meet or exceed Trey’s offer – and contact me if you think they don’t) on my Discount Coupon Code page. Unlike most websites, I always remind you that I may get a commission if you use my links or codes. This is true of most websites but few mention this fact. Your support is what keeps this blog going, so if you like what you’ve learned here then do me the honor of using my links when you make your purchases. It doesn’t cost you a penny extra (someone will ALWAYS get a commission whether you realize it or not).